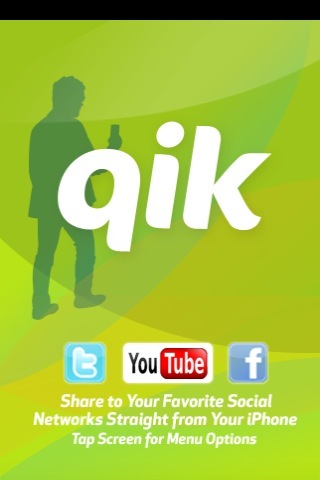 For those iPhone owners out there who are jailbreaking veterans, you will be familiar with QIK. This app which previously available through Cydia, allowed for live streaming of video to the web via your iPhone (Air Stream lets you stream TV/Movies to your iPhone). I was going to report this yesterday, but hey, it was Christmas! QIK eventually released an official app via the App Store, but live streaming was disabled, which made the app pretty much useless. However, with the recent USTREAM app being allowed to stream live video, QIK has now followed suit. QIK Live was released in the App Store on Christmas Eve–what a nice gift! QIK Live: Stream Live Video to the Web Without Jailbreaking! If you haven’t used QIK before, here’s what you’ve been missing out on. You can now live-stream any event from your iPhone 3G/3GS straight to the web via your data plan or wifi. At a concert or sporting event? Launch QIK. The cool thing is while you’re filming, people can comment right away and the comments show up on your iPhone’s screen (you can toggle privacy settings on/off). QIK is awesome for streaming your life to the web, no matter what you may be doing. The best part about it now is that the official app is available without jailbreaking. You can also share to Facebook, Twitter, and YouTube straight from the app! Love it! Click here to download QIK Live. 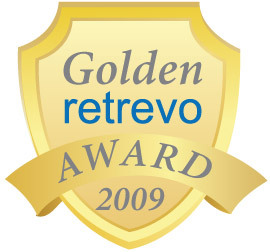 2009 Golden Retrevo Awards: Vote For iPhoneinCanada.ca!